This week, the Rangers find out what a Royal pain things can be. Also, Koda versus a medieval helmet! Don’t forget to vote in our sentai tournament. So they made a reference to Zander in this episode and it is awesome. Also why can’t they can’t use Dino Drive mode out side of the zords? The really thing I’m going to be talking about is the Dino Drive mode and tell you what works and what doesn’t work. 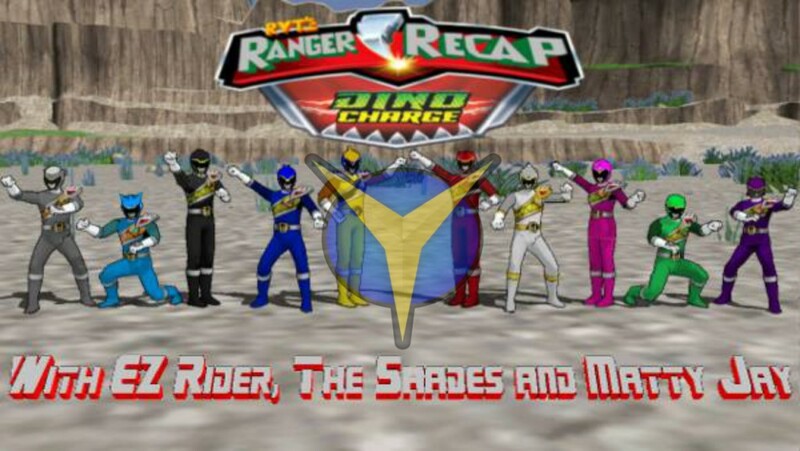 What kinda work that since the rangers are control the megazords with their body I think the megazord would get stronger as a result, but they don’t show the megazord doing that much when they went into that form, Dino charge and Samurai are not the first team using power up in the megazord. Lost Gaxaly were the first ones to do it and Dino Thunder used Super Dino Mode in the megazord in one episode to power up the megazord. Even though those power were used outside of the zords. Also Dino Drive right now is just a protype and they could upgrade to be use outside of the zord one day. Tyler wearing that outfit was cool and Shelby make a pretty hot princess. Really it would have been weird if Kendall was the princess. And is anyone getting the feeling that when Shelby saw Tyler like that it was like “Hello Male Nurse” Also we know that high heel hurt Shelby girl all girl have to go though this once. The t Rex Chopper sound like something the British would call as a Power Ranger weapon. Which theme for Super Sentai do you want them to do again that they haven’t done in a long time. Like Resuce theme, Bird theme, or Science theme? I have some other new ones like Circus theme or one that are based on stars or knight theme? What theme that you don’t want them to use in Kamen Rider and Super Sentai anymore? One of my chooses is Dinosaur, Ninjas and Space. Hello guys. Decided to take a break from my collage work and give my thoughts on the episode Breakout. I really like how they were building up towards the revel of the Dino Charge Gold Ranger before this episode and I like how they teased the fact that the person inside fury was Tyler’s father so I give them props for that. And were also introduced to new character in Prince Philip who I’m assuming is going to be the Graphie Ranger later on in the series. Also my first impression of Ivan is pretty good so far, will see where he goes from here. Overall a good episode for the introduction of Ivan and a good set up for Philip’s character.